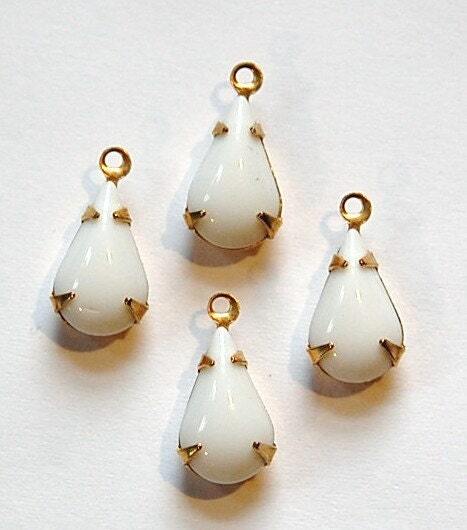 These are vintage opaque white glass stones set in a one loop brass setting. The stones measure 13mm X 8mm. You will receive 4 of these. These connectors are so pretty! Now, I need more... Thank you! High quality set stones. Fast shipping. Same excellent service. Awesome beads. Thanks so much!